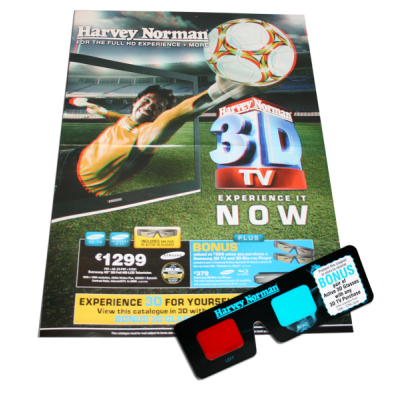 Anaglyphic Harvey Norman - American Paper Optics manufactured 250,000 of these 2 sided printed hand held anaglyph viewers for a 3D television promotion for Harvey Norman Electronics. 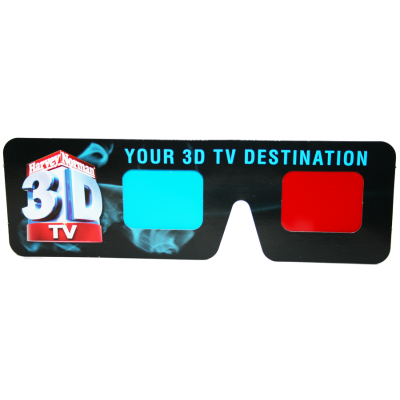 These jumbo viewers were tipped to an 8 page circular that was inserted into the Irish Sun newspaper. 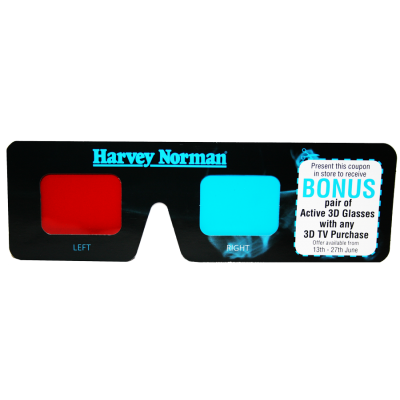 Anaglyphic Harvey Norman - Another hand held style option, American Paper Optics manufactured 250,000 of these 2 sided printed hand held anaglyph viewers for a 3D television promotion for Harvey Norman Electronics. These jumbo viewers were tipped to an 8 page circular that was inserted into the Irish Sun newspaper.